Head is sewn and stuffed. Body halves are sewn, and darts sewn. Do you see how the darts are going to help the panda to have wide shoulders and a round tummy with solid hips? Close-up view of the stuffed head. Nice and round. Panda heads are large in proportion to their bodies. I think this body is going to turn out just the way I want it. 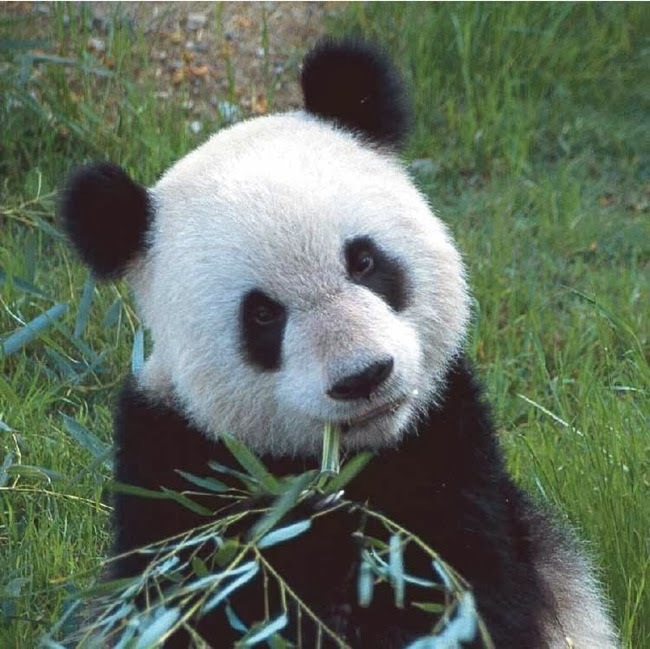 Panda ears are positioned high and far back on the head. Do you see the eyelid detail? This was done with polymer clay. How sweet your Panda face turned out. Of course those real sweeties are a joy to watch and thankfully there are organizations working to bring their numbers up. 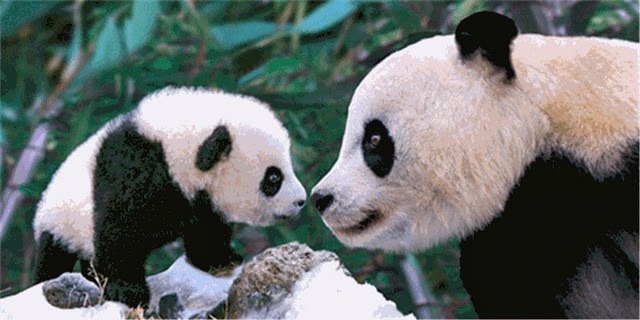 It would be a very sad world without our beloved Panda's. Hope you are feeling stronger and well on the road to recovery. 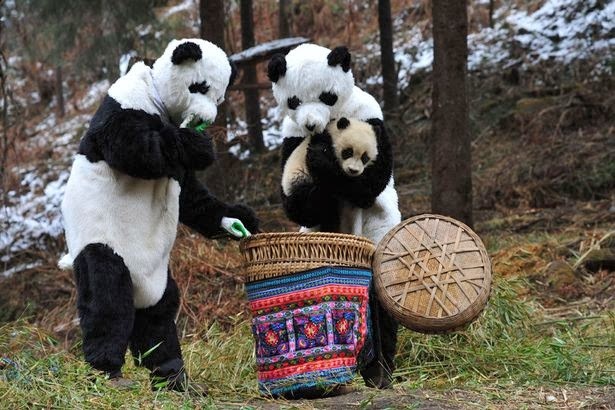 Yep, been having lots of fun 'researching' pandas on the internet :-) Feeling a bit better thanks, mind over matter. Love your Panda head. I'm sure he will look very handsome when he is finished. Thanks Kay, I'm enjoying working on the panda.